Emergency Survival Sleeping Blanket - Three-Pack | BUDK.com - Knives & Swords At The Lowest Prices! 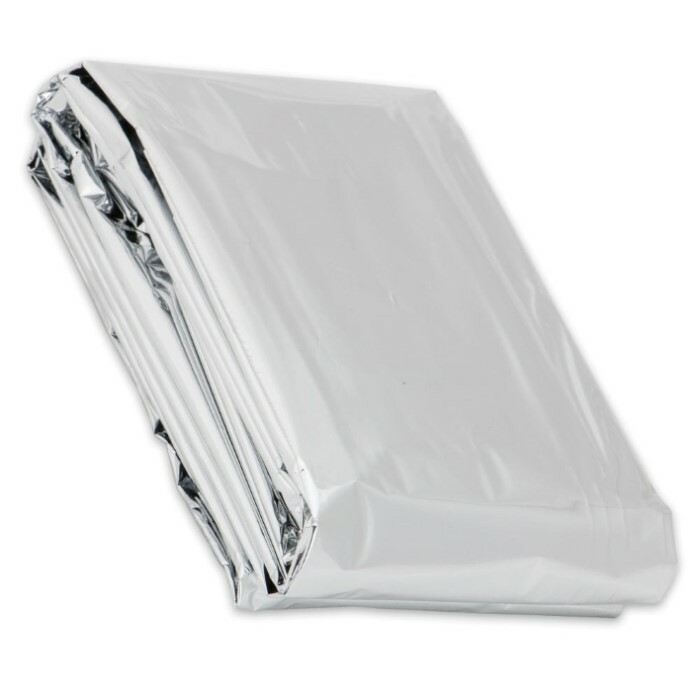 Whether it's in your car, camping gear or your bug-out stash, don't leave home without this emergency survival sleeping blanket. This must-have, super durable polyester blanket is essential for overcoming exposure to harsh outdoor elements like rain, sleet and snow. It reflects up to 90% of your body heat back to you and is 100% windproof and waterproof. 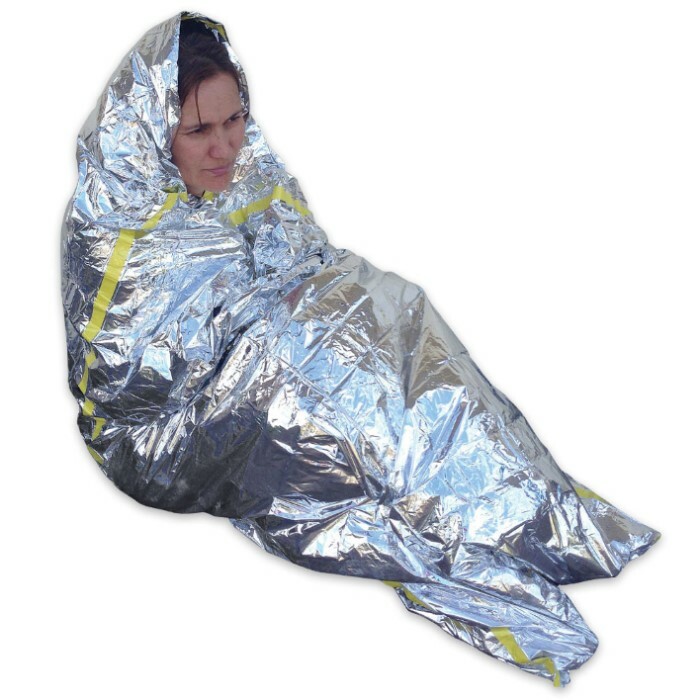 Thanks to its innovative design, this emergency survival blanket won't crack, mildew or shrink. It's great for constructing a survival shelter, too! 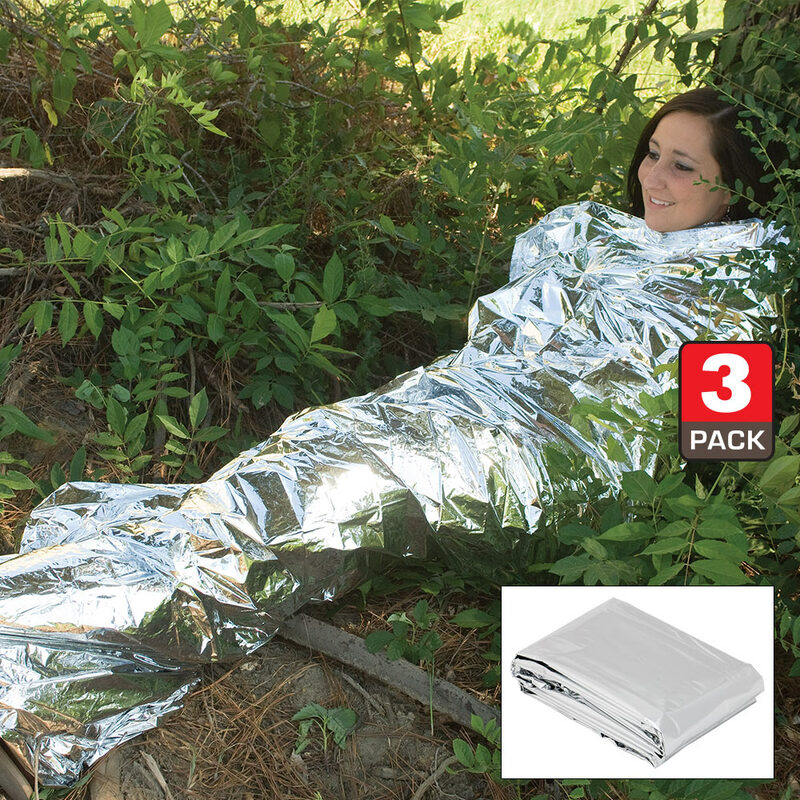 You get three of these incredible survival blankets in this pack!